These presentation slides 41799 are complete compatible with Google Slides. Simple download PPTX and open the template in Google Slides. 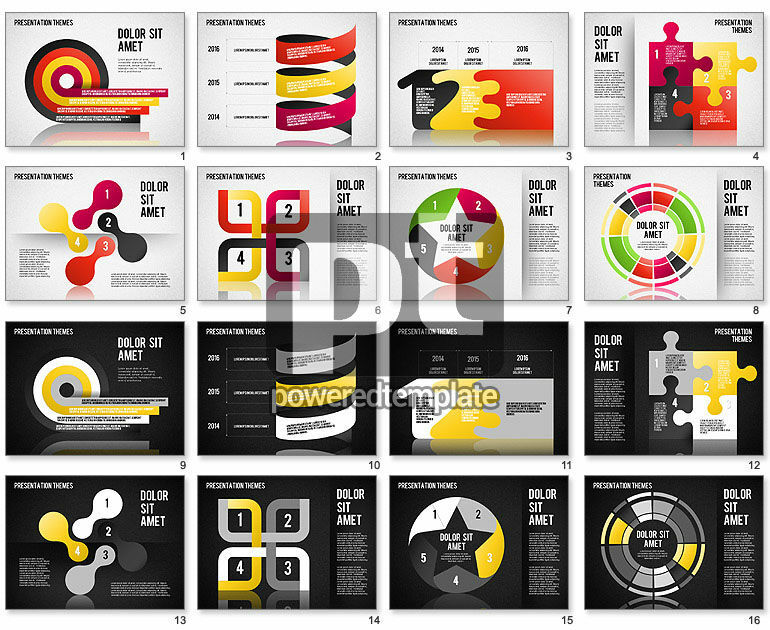 This beautiful template will make your presentation just perfect. It contains various colorful items, numbers, arrows, puzzles, and so on. This vivid and really wonderful sample can be used in presentations devoted to time management, agenda, action plans, step by step by actions, timelines, work results, work strategies, schedules and reports in various business spheres, media, network and so on.